Just as an update, I have been through 2 C-sections now. Recovered beautifully with the appropriate progressions. If you take your painkillers that are encouraged, it WILL slow your bowels down. Not to mention they are already very slow after this major surgery. It can give you a false sense of feeling better and you might REALLY over do it. If you're breast feeding there are many pediatricians that think it can be harmful to the baby when taking strong painkillers such as Percocet. I feel it can really cause your baby to be sedated and constantly fall asleep during feedings. Let's not forget the highly addictive qualities these narcotics have. The last thing a new mother needs to be dealing with is withdrawal symptoms from this drug. You may have pulling pains near the incision even 30 years later. I have several clients who are in their 50's and had C-sections. To this day they still have mild cramping and pains near the incision every once in awhile. Now why does this happen? Down to the important stuff. After your abdominal wall is cut open and your muscles are separated to get a large baby out of your stomach, you are sewn up with several layers of stitches. What they don't tell you is after this surgery your brain loses proper connection with these muscles. Many women experience numbness and/or a pooch belly because they are never properly taught how to re-establish the communication between the brain and these stomach muscles. Therefore it's important to do specific exercises to activate these muscles again. PELVIC TILTS - lying on your back (you can even do this in bed) tilt your pelvis under while pressing your lower back flat against the ground. Do a little squeeze and hold. Also take your fingers and press in to your pelvis area where you should be feeling it. This will also help tell the brain to start turning these muscles on. Do 15-20 reps of these and repeat 2-3 times when your body feels ready. 4 POINT TUMMY VACCUM (read this in Paul Cheks' book, How to Eat, Move, and Be Healthy) Getting on your hands and knees inhale and let your stomach hang to the floor. Then exhale and bring your belly button in to your spine. Hold and repeat 15-20 times. KETTLEBELL SWING - this is an excellent exercise to get the TVA activated. I could go on and on with diet and more exercises. But to keep this relatively short these are some rehab exercises that doctors do not tell you to focus on after a Cesarean. Why they don't tell you, I don't know. We just get sewn up and are expected to deal with muscles that don't properly work and are left with a dysfunctional "pooch" belly. For those who want their stomach to feel and look the same or even better, these are some ways to regain this. Hope this has answered some of your questions. There could be a book written about this! In fact maybe I will have to write one myself. 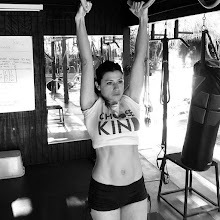 To learn more about the workouts that got me back in the best shape of my life after 2 huge babies and C-sections check out our Kettlebell Instructional Videos and Lauren's Playground On Demand workouts. These workouts also have helped thousands of women and men get in the best shape of their lives! See the testimonials for yourself. Hi Lauren I bought your dvd a month back and love it!. It has certainly started to shift the last few pounds post baby.Its very quick to come off now! ITs making me lose my love of running because the dvd is more interesting! I've just bought the pregnancy baby bells one to have for when i have my second. Is another dvd due out soon too? 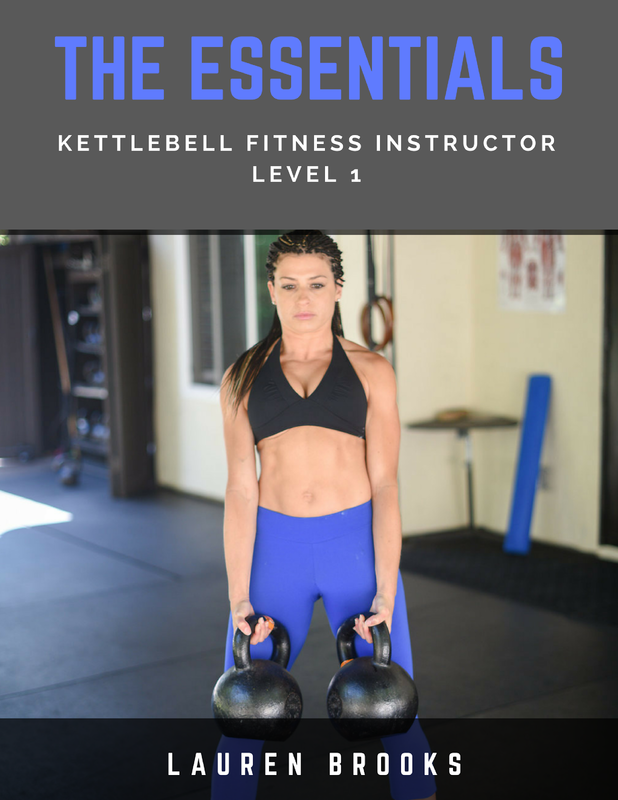 I became interested in Kettlebells this past fall and with the help of the internet I found your site. 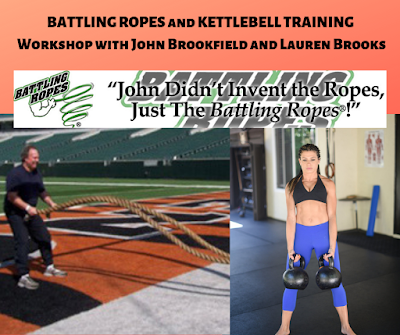 I hired a RKC trainer (Yes, there is one in my remote Midwest area!) for a few sessions to familiarize myself with Kettlebell moves and ordered your DVD's Volume 1, 2 and the Workshop DVD. I now workout with you several times per week and love it! 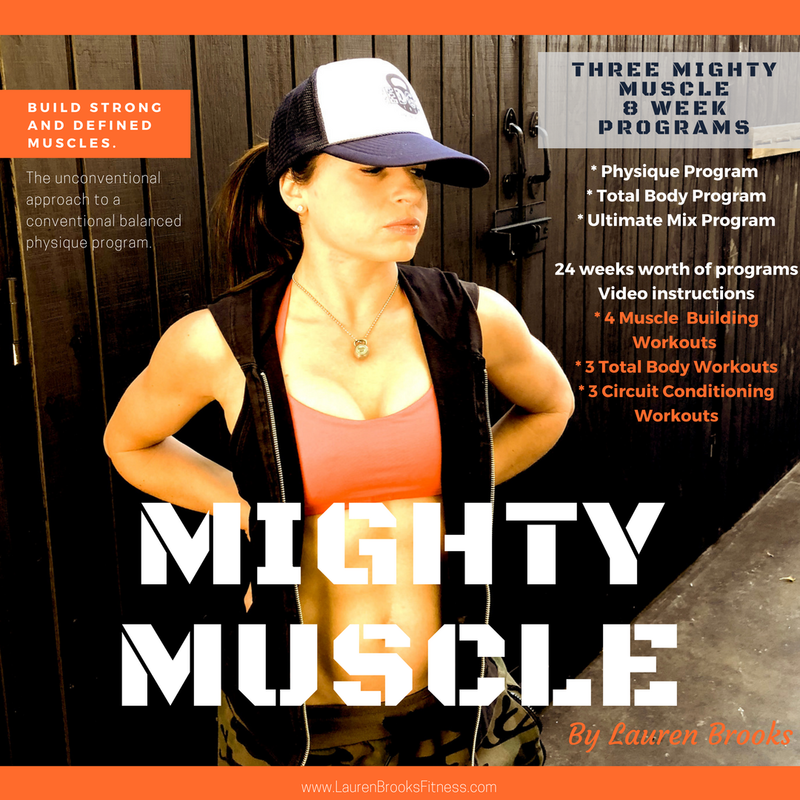 The workouts on the DVD's are fun but tough and the instruction on all of them is the best! Thanks so much for putting out a great product! I'm really looking forward to Volume 3! "Hi Lauren, I wanted to add my name to the huge list of your devoted followers!! I purchased your Ultimate Body Sculpt and Conditioning with Kettlebells Volume 1 DVD about 4 weeks ago and I am IN LOVE with this workout! I am 26 years old and have 2 children (2 1/2 years and 1 year) and have been religiously exercising since my youngest's birth. I quickly shed the "baby weight" but was not getting the tone I wanted.... until I discovered kettlebells. I ordered this DVD following the recommendation of another mom on the CafeMom website and I honestly can't even put into words how much I love it. I truly feel it has changed my life even in the short time I've been doing it. I am excited to workout every day. I've never been "athletic" in my life. Always been "thin" but not strong. With this DVD I can feel myself getting toned. I mainly do the 40 minute workout, and on days that i'm feeling particularly energized, I will also do the 12 minute fat blast in addition. An issue I had before was finding the time to exercise considering I'm a stay at home mom with 2 little ones. However, my kids LOVE to watch me do this workout, lol. My older child tries to mirror my moves, and it is so adorable. Anyway, I'm not sure what I can really say that you haven't heard a million times before, considering your huge fan base. But I just wanted to add my two cents ;) This is a great workout, the DVD is put together beautifully, and you and your partner (Robin Duncan) are very inspirational. I have to be honest and say that the fact that you two are mothers yourself has inspired me SO MUCH. That fact alone is part of the reason I love this DVD. I hope to purchase Volume 2 in the coming months. Thank you for changing my life and body and inspiring me to better myself. I wish I lived in California so I could get a proper workout in person!! You have a loyal fan in me. I've been spreading the word to everyone I know about how much I love this DVD. 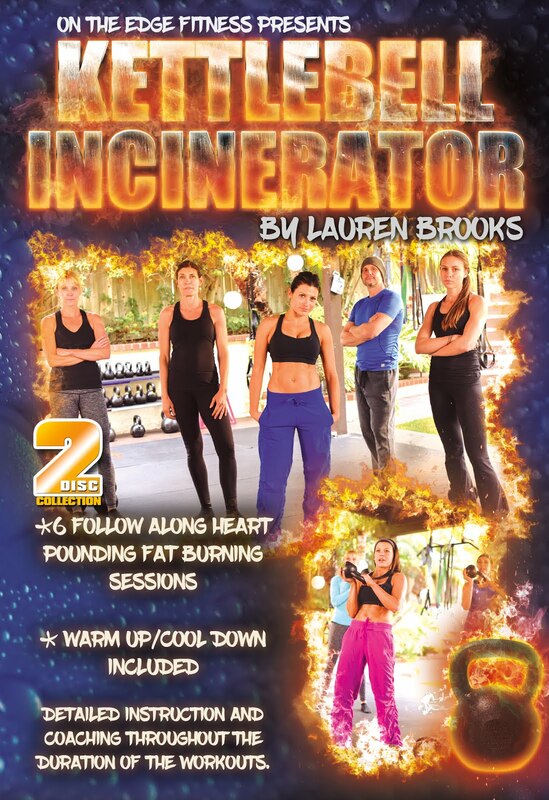 Thank you so much :) "
auren Brooks' fat burning workout is effective and interesting. Comrades ladies, enjoy Southern California style training! -Pavel Tsatsouline, the author of Enter the Kettlebell! Nice summary. I can only imagine that your exercise suggestions would be helpful for women who have given birth naturally as well? 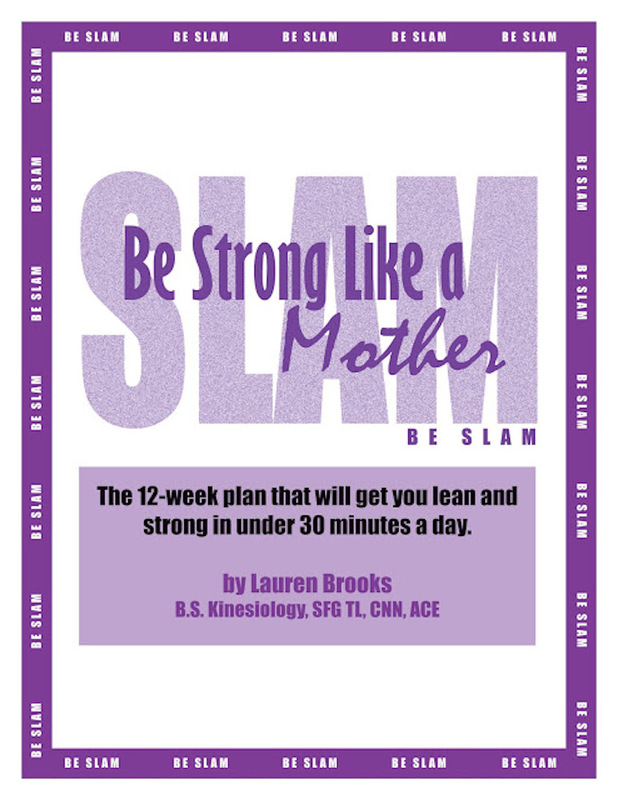 These exercises most definitely would help any woman who gave birth naturally, due to the stretched out abdomen. But would also help anyone who has a hard time finding there TVA. lauren how do you stay motivated? Sorry Lauren I just wrote under anon in the last post. I was also wondering your hight and weight because most of the chickies that I see kettlebelling are a bit taller and heavier then I am. 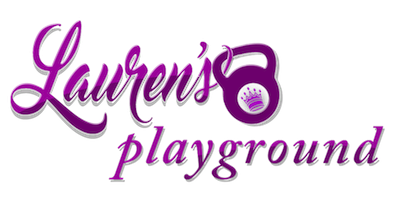 THANK YOU for the awesome post Lauren!!! I found that KB 2 hand swings were more rehabilitative than walking after my surgery (not until 4 weeks post op), because there is no twisting at all, just straight forward movements. I had to be careful and not use too much weight of course, but walking, with the slight twisting of putting one foot in front of the other was, in my opinion, not as good! And I had to laugh about the painkillers' constipating side effect! THE most important thing for me after surgery (since I couldn't do anything else!) was to make sure of proper elimination...lots and lots of water....of course I eat alot of veggies too, but water, for me is critical. When I returned to the Docs office 1 week post op, he said, "Now, if you haven't gone to the bathroom yet, you'll want to get som laxatives." Mark and I looked at eachother in disbelief that anyone would go a full week without going #2! We politely assured him (the Doc) that it had not been a problem for me! Where were you a few years ago when we were going though this? Thanks for taking the time to put this post together. 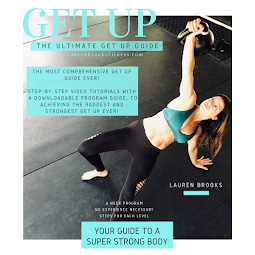 Hi Lauren, I found your blog when I was looking to see if anyone has pain after 5 weeks recovery. Oh I am so much in pain, it is so ridiculous already. Anyhow, I can't believe that no one told you that you were getting morphine! I am a RN and you are suppose to tell a patient what they are giving you. What if you were allergic? Geez... I knew because I had a PCA pump that I had to press myself to get it. They ever had a yellow sign on the box that said, "DO NOT PRESS FOR PATIENT!". If a nurse even thought about pressing it, she would be in serious trouble. I am a trooper so they ended up disconnecting it because I got up 9 hours after surgery. Furthermore, the nurses and doctors were constantly doing teaching when I was there. Even though I am a RN I don't know everything, but I do know about medication administration and teaching the patient. So sorry that no one told you this. I am so sure you are over it, because this was written over a year ago. Wear an tummy wrap or belly band after birth whether c-section or vaginal birth. Ask the nurse for one. The hospital usually have in stock for new moms. Be sure to wrap tight enough around your waist so it will aid in closing or minimizing abdominal separation as a result of the pregnancy. Our moms, grandmothers, and great-grandmothers did this. But somehow our women of today are not passed down this advice anymore. Having a C-section was incredibly hard on my wife. It took her a very long time to recover, and made it difficult for her to bond with our son in those first few weeks. I'll be passing on these tips to her. She says her stomach just isn't the same after having the surgery. I had a hernia repair years ago, took maybe a 1/2 inch incision. I remember how hard it was to recover from that small incision, I can only imagine what it's like recovering from a C-section, especially after carrying a baby for nine months. Thanks for this! My daughter is 4.5 weeks old and I am ready to tentatively start exercising again. I am a group x instructor and I just keep thinking that the doctors are overly cautious out of fear. We know our bodies best, right? Hi Lauren, I had a c- section and my baby is 7 weeks old. I really feel sad seeing my sagging tummy. Although I have almost lost my pregnancy weight without any trouble I feel depressed seeing my bloated belly. Can I ever get back in shape? Hi! So glad to have found your blog! I have a question - I had a c-section 13 weeks ago. I started working out slowly, walking and running some. I had rectus diastasis pretty bad this pregnancy which already gives me a pooch and then having the c-section on top of that, I feel like I still look pregnant. Anyway, I had been doing core exercises, like the ones you mentioned and afterward I notice I'm sore, but almost in a painful way. I wasn't sure if this was normal since I was ripped open... or if I was doing too much. Do you remember what soreness felt like afterward? Thanks! I wish someone had told me this 4 years ago! I didn't have any issues with breastfeeding while taking the painkillers nor withdrawal issues, thank goodness. But I still have issues with muscles in my belly. I hope it's not too late to start these! I just had my 3rd c section. I hope this works! Hi there... im 16 months pp and ive tried sit ups etc and I end up in so much pain (even if its only 10) I was wondering which of these methods would be the best to help with a really bad muffin top? I put on over 25kgs whilst pregnant and after the c-section I havent been able to lose any... im only 20 and would love to have my body back lol thankyou for all this info. One last thing. Being 16 months pp is it too late to try these things? What are some exercises that you progressed to after these? I had my c section 1 month ago and feel like I can do a little more...not sure how far to push it though. I've also been walking and just started slow jogging today. Is it wise to do any other ab exercises like regular crunches or use an exercise ball for core exercises? Also, how long did you wait to lift or do any time of interval training with bodyweight exercises and jumping? I had a c-section 7 weeks ago I've just started weight training is this safe as I don't want to do anything that's goin to set me back? i had my c-section 4 mons ago and i did not take the doctors advise to wear my binder cause for me its useless since i had a "bikini-cut". i just finished my antibiotics and did not drink my pain killer (mefenamic) i constantly went up and down our house to eat, wash the feeding bottles etc. well i guess it will depend on how far can you do all these things as long as you know your limitations right? ive been searching thru the internet and wonders if i can do sit ups already since its been 4mons.. and i've been riding a motorcycle (back ride) 2mons right after my c-section to go to work.. I'm 2 weeks 4 days since my first c section & besides a little pulling pain on the side of my scar (doctor said it's probably a ligament tear) I feel great. I want to go running so badly and get to the gym. Doctors need to inform us about what to do. i starting marching for my school 4 mths after and i remained with a slight swelling under my cut. i'm a single mother and i'm on my own. we need all the help we can get. Is there a certain time frame to start this? I had my first c section almost 9 years ago and my third c section 15 months ago...is it too late to start now? I had a friend who had a lot of damage to her abdomen muscles after baing shot, yes with a gun. At least 7 yrs later with hard work she was able to get a flat abdomen. So I'm pretty confidentt yrs after a c-section getting those muscles back into shape is possible. Hi. I'm 6 weeks out from my 2nd csec and was just told I can't do any of my "real" workouts for 9 months to a year. He said walking and swimming were fine but to wait 9 months to take a spin class and a year for boxing and boot camp etc... Any workout recommendations or thoughts? I'm curious about hiking, lunges, squats etc... And why is spinning bad? This makes no sense. It would seem to be a good choice. Thank you for you time! Hi. this article is a great help. i havent had a csection. infact i had a myomectomy for multiple fibroids. its been ten months and i am still not sure what exercises i can do because my recovery has been pretty slow. I have put on 7 kgs in laast ten months due to the still prevailing hormonal issues and my inability to workout consistently. can you please guide me as to what to do. I am really stuck.. OKay, I totally get the working out aspect but how in the world do you work a muscle that you can't feel (numbness) even after 3 years post C-section?!! I know exactly how to work those muscles but I have seen no change. The pooch feels tighter but it's still a pooch and I still can't feel it. 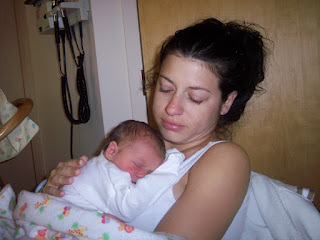 I've had 3 C-sections and each time, I was cut differently (location wise). I'm numb from my bellybutton to my woman parts.. I get into a regular workout reg and after months, I don't see any results. I am at my limit with people telling me you can work those muscles out.. bc, in my opinion, you can't get the feeing back (if it hasn't returned by the end of 2 years). After my second c-section, I worked out and did regain some feeling but now, it's gone. Trust me when I say, I WORK MYSELF BEYOND MY PAIN LEVEL and get no results. I'm a single mom.. Who in their right mind is going to want to see this nasty pooch?! Yuck! I don't even want to look at it! I'm recovering from my second cesarean. I'm in my third week to be exact. Both times up and walking around within 24 hours. I've been off of my pain medication for 2 weeks. Ivey is breastfed and I was almost certain that she was having trouble passing bowls because of them. Well my question after rambling is, I have the definition of my abdominal muscles back already. I'm sure they are not strong but I have bounced back pretty fast. I want to slowly start working out again. My skin on the left side is numb. Do you suppose I should wait until I can feel again? Also, I had a strong core but the stomach would bulge when I was not flexing. How can I tighten the muscles? I had a c/s and there isn't much out there about how to get back into shape and what exercises to do specific to recovery from this type of surgery. Thank you for this article and definitely write your book! I've had two natural births and just recently had to have a c section for my twins. I'm an all natural mama so needless to say the c section was a last resort and I hated it even though it went perfectly and my boys are perfect. I'm only 5 weeks postpartum but I can tell that my body is out of balance even though I'm healing just fine. I can't wait to start workout out, get back to some sort of balance. I have my postpartum checkup in a couple days so hoping to hear all good things. You're very welcome Ellen! I'm glad this is helpful for you. Please keep me posted! Hey its ur twin Lauren. lol Same name... I actually had twins in 2013. I attempted to run for the first time since c section because Ive gained alot of weight. So I did. Next day I pulled my pelvic muscle while laying around in bed. I also felt a pull when I was in a car. Getting up out of it the tension returned. So Im wondering if that was old rustyness from finally getting up to jogging. I find your facts helpful. As a Hispanic we tend to believe that our insides dont heal for a long while. I suppose Ill begin an online journal and Ill later post aink here. I think baby steps will help. I do believe in being able to get rid of that pouch. Guess I have to prove it though. As far as writing a book. I think its needed out there. Ill write one too after I go through my own self study? If women keep journals about after the c section it would help alot of us see the things that we face. To view the problem from a bigger view point. Why dont they have follow up doctor visits with physicians after these surgeries. Its obviously needed. Thank you so much for posting this! I wish my OB had been kind enough to share these facts with me. All she had to say was "you will never have a flat belly again. Let it go." Well, all that comment did was set me off on a hunt for proper exercises to find a way to have the figure I had before I gave birth. Nobody tells me I can't!!! Anyway, I wanted to know if there is a way to tell if your TVA and your brain have re-established their connection? I've been doing the exercises you recommend from 6 weeks PP to present (he's almost 3 months old now) and while I no longer feel pain down there when moving certain ways, there still is a bit of numbness right below the center of the incision scar. And thank you, thank you, thank you for sharing your story and exercises!